05 Oct Golf in Indonesia: A dying sport, or a new beginning? There are just over 100 golf courses in Indonesia, almost 50 of them in the Greater Jakarta area. They cater to about 200 thousand golfers in the country. Which means, in a population of 260 million (almost the size of the USA), there are less than 0.1% that play golf in Indonesia. A round of golf takes up a good 4-5 hours. Traffic in Jakarta doesn’t help but adds on another 2-3 hours of traveling time (round trip) to the golf course. Plus, another 1-2 hours to eat, shower, and get ready, golf is now a 9-hour full day activity. Golf in Indonesia is priced at a slight premium because of its amazing service, good course conditions, lavish club houses, and attractive caddies. Weekday golf will cost you about IDR 400,000 – IDR 700,000 (USD 30-50), while a round on the weekend at a decent course will set you back IDR 900,000 up to IDR 2,000,000 (USD 60-140). 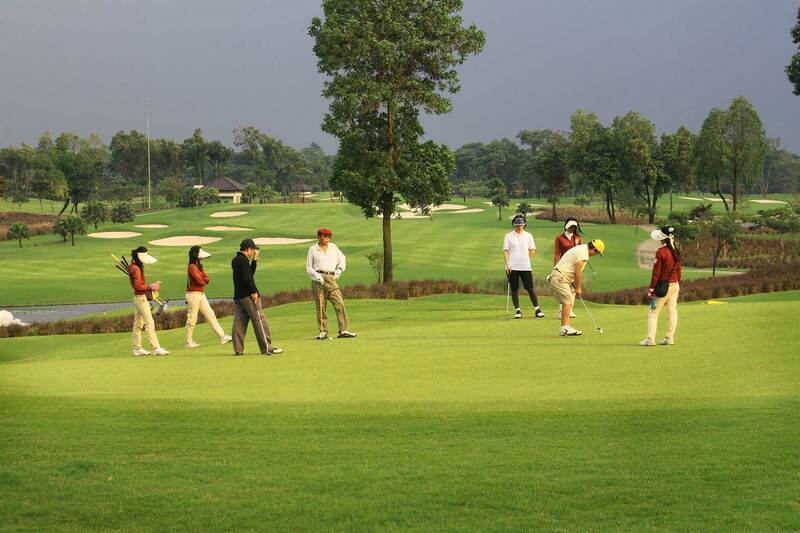 Because of the high cost of golf in Indonesia, the sport is played by the more affluent segment. At an average of IDR 1 million per round of golf, one would need to have a monthly salary of at least IDR 50 million to enjoy golf without breaking the bank. This leads to a higher average golfer age of between 40-60 years old. Golf is definitely out of reach for fresh grads as their average salaries are within the IDR 4-5M range. Barriers to golf in Indonesia. The demographics for golfers are usually focused around the 40-70 year old bunch, where disposable income and flexibility in time are both higher. There are also more golfers ceasing to play than more golfers can pick it up. Younger folks now tend to have less patience and a bigger appetite for more extreme activities that take up less time and money. For example, cross fit, MMA, wake boarding, muay thai, cycling, diving, hiking etc. However, even with all these barriers and obstacles, golf still commands its premium-ness. There are still small pockets of people who are currently still playing and some are just getting into the game, for business, for health, and for mastery of a much precision-needed, mind-challenging sport. A sense of community, and platforms to enable them. To put it bluntly, golfers continue/start to golf, because their friends/family are also golfing. It’s the community that continues to bring people together and keep them together. Traditional ways of building and growing communities are unscalable, which is why technologies are here to enable faster growth of it. Just a mere 10 years ago, we were still trying to keep in touch with people through phone numbers, flag cabs down, travel to restaurants to be able to eat, and find potential future partners at bars. These days, while the older generation still practice the above, platforms have emerged to help technology adopters to achieve their objectives much faster. Phone numbers are a thing of the past with Facebook, cars come to you with Uber/Grab, food comes to you with FoodPanda/Go-Food, and find love at scale on Tinder. So the question is, why hasn’t anything been built for golf? Golfers want to get a game in and expand their network in the process. It’s highly annoying when your small bunch of golf friends can’t make it for golf when you want to play, or you can’t make it when they ask you. To help aid this problem that stops golfers from golfing more, we found a platform out there that does exactly that. It’s no wonder thousands of golfers have been using it to find golfing buddies whenever they’re available for a game. It’s built in a form of a mobile application and is available free on both the App Store and Google Play. It’s available for golf courses across Indonesia, Philippines, Brunei, Singapore and Malaysia. There are plans to expand to even more countries to assist the needs of even more golfers. Deemples now is a pretty simple app, where golfers go on and find available games to join, or create games and let others join them. Golf clubs and tournament organisers have started using Deemples for the ease of handling multi-flights, and communicating/engaging with participants. Golf academies are also using Deemples to provide free clinics to help improve the skill level amongst golfers. Deemples has a small team of product developers that continuously builds features that will help golfers be able to golf more, assisting the golf industry as a whole. “We won’t be competing with what’s already out there, but enabling the growth of all golf suppliers.” “Golf suppliers include booking agents, social clubs, golf courses, academies, equipment brands; by breaking barriers that stop golfers from golfing more.” David adds. Golf, has always been associated with the aged and deemed a slow moving industry. Perhaps it can now breathe a sigh of relief as more tech platforms like Deemples come in to save the day, and hopefully providing a whole new meaning to the sport. 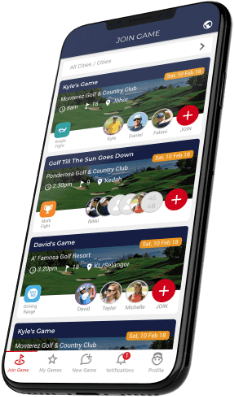 The app is still in its early days, so try setting up more games, and encouraging more golfer friends to use it. The more golfers are on it, the better it is for the rest of us golfers. This article was first published on OB Golf by David Wong, founder of Deemples on 20 Aug 2018.